This big green guy is pretty popular this year. 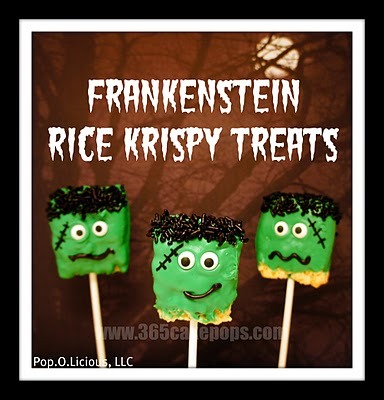 Frankenstein Halloween treats are popping up all over the blogosphere. 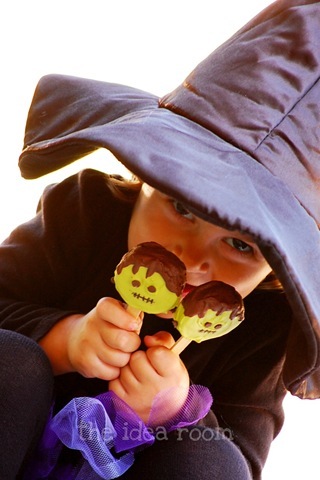 And when I mean pop, I really mean POP! 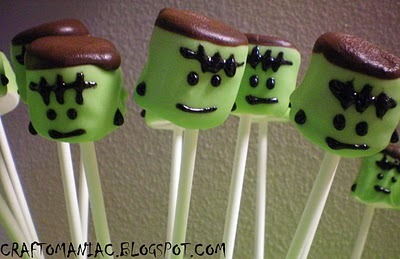 Here are some fun Frankenstein Pops, aka Frank on a stick. 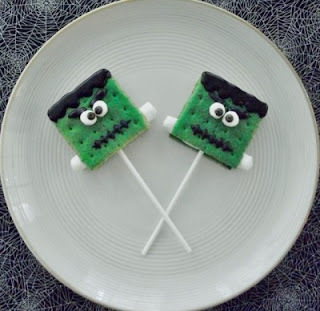 If you are looking for more Frankenstein Halloween ideas, check out Frankenstein Halloween Punch, Halloween Paper Plate Crafts, and also the DIY Halloween decoration.